Whenever I meet up with YA author Cliff McNish to talk about craft, he always comes up with amazing wisdom about deepening character. Two weeks ago, my favourite Cliff novel Breathe was listed on the Librarian's Top 100 (alongside Daphne De Maurier, AA Milne, CS Lewis and yes, Neil Gaiman). I thought this was as good a time as any to draw Cliff out of his technology averse shell (If I sound a bit stroppy, I am - the man doesn't know how to sell himself) ... and FORCE him to share his wisdom on deepening character.If you haven't read his books, they're dark, twisted and sometimes creepy - unlike their charming and not at all creepy creator. Candy: Hi Cliff! I was chuffed to see Breathe on the librarians' Top 100 Books list! I loved that book and always thought it deserved far more notice than it got. How did you feel when you saw it there? 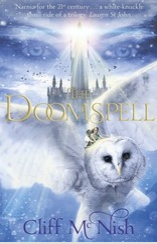 Candy: You began your writing career with high fantasy with the Doomspell Trilogy then the Silver Sequence. By contrast to the vast worlds, Breathe is rather more intimate, a ghost story. Was it a turning point in your writing journey? Cliff: The truth is that Breathe did not feel like a turning point at the time, merely a continuation of fantastical elements on a smaller scale. But of course it is a chamber piece, not the galaxy, or the whole world changing this time, but a house, and only its four walls to hide inside. In the first draft that led to a lot of repetition; my learning curve as a writer, if I achieved anything, was to adapt to vary the novel by employing story shifts and character depths rather than relying on the set pieces and colour palette I had for the Doomspell trilogy and Silver sequence. I wanted physical constraint, but I had to handle character more adroitly to keep the story flowing. 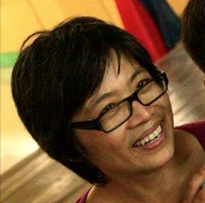 Candy: Whenever we meet to talk shop you often talk about taking every opportunity to deepen character. What do you mean by deepening character and how would someone know when it's been achieved? Cliff: By character deepening I mean anything that helps us to identify more deeply and personally with a character in a story- anything that brings them away from cliche, into real life, and helps to differentiate them from other characters and make us really identify with them. We tend to do that when they show classic values: courage under pressure, humour when the situation is dark, taking responsibility when it is easier to back out. When they behave, in other words, the way we expect adults to when they are given real choices. Candy: There are some who would argue that younger fiction does not require such attention to character. What would you say to that? Cliff: Children's stories need characters that show deep characteristics just as much as adults' books. So when I look at my own and other writers' manuscripts I'm always asking how I make those choice moments as powerful as I can. It's easy to miss opportunities - and deepening a character normally has a much bigger payoff than a plot twist. Candy: How about a list of tips ... we like that on the Slushpile. Cliff: Okay, here are some hints and tips on deepening of characters we really want our readers to love. Heap huge problems on them right from the start. When we first meet Harry Potter, J.K.Rowling has already dumped a whole world of problems on him: his parents are dead, he lives on hand-me-downs, the Dursleys are nasty to him, he has a disfiguring scar – oh, and Lord Voldemort, the darkest and most powerful wizard in the world, is trying to kill him! Always, always, get sympathy for your hero/heroine by giving them really big problems to deal with from the outset. The bigger the problems, the better. Plunge them into terrible trouble. If you do that the reader will start desperately wanting them to get out of that trouble as well. Keep building up the pressure! In Stormbreaker, Alex Rider starts off by losing his last living relative and almost being killed in a car dumpster yard. But Anthony Horowitz skilfully builds the pressure from that point. He throws at Alex garrotting bikers, poisonous jellyfish and professional killers. By the end of the novel the combined forces of Herod Sayle enterprises are all trying to destroy him. Even if you’re writing comedy, never relent the pressure for long. Ideally each pressure event in your story should be bigger than the last as well, until at the end your hero/heroine is alone, facing the worst possible pressure, against enemies that have never looked more powerful. Give them a noble desire. All great heroines and heroes at some point give up something they want personally for the greater good. In Twilight Edward dearly wants to taste Bella’s blood. Instead he chooses to deny himself and protect her with his own life. In the final battle scene of Harry Potter and the Philosopher’s Stone Voldemort offers to bring Harry Potter’s parents back if he’ll join him. When Harry (already half dead at this point) says no, sacrificing his most personal desire, and instead stands and fights because it is the right thing to do, he achieves true hero status. Provide at least one very powerful enemy to confront. 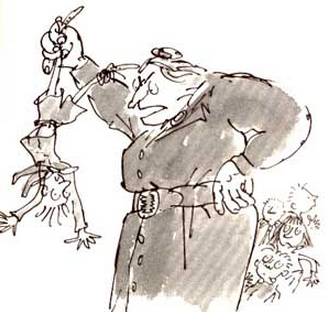 Where would Roald Dahl’s Matilda be without Miss Trunchbull? Or Bella and Edward without the James Clan? 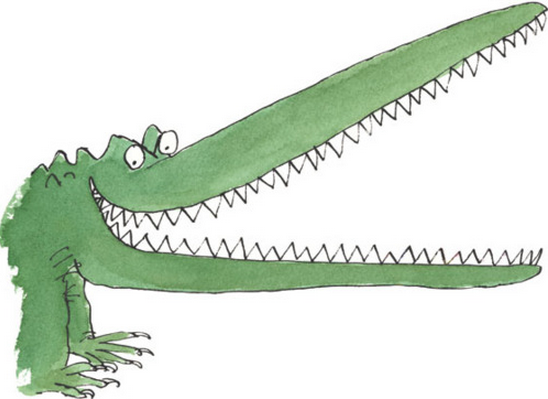 Great villains help us to identify much more strongly with heroes. Give them a sense of humour. We’re prepared to forgive even villains a great deal if they make us laugh. It works doubly so for our heroes. Keep them seeing the amusing side no matter what happens. Plus, when they can still smile under pressure, it shows their inner strength. Real heroes and heroines aren’t sure they can cope. Their self-doubt makes them more human, more believable. It also makes it harder for them to overcome their problems, so the triumph when they do so is even greater. In Twilight Edward doubts he can restrain himself from drinking Bella’s blood. 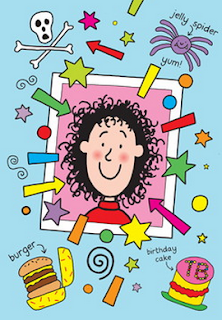 In The Story of Tracy Beaker Tracy can’t even admit to herself that she’s struggling. She cries all the time, but pretends the cause is just hay fever. The greatest heroes are very human indeed – and that’s why we love it when they succeed. Give them a dark side. 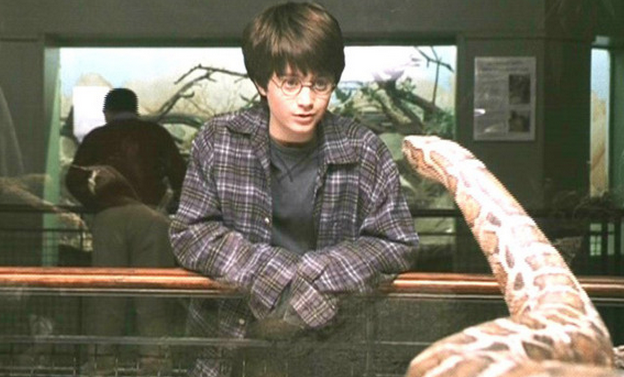 Harry Potter speaks parceltongue, linking him to Voldemort. In Twilight, Edward is a real vampire with an intense desire to drink human blood. 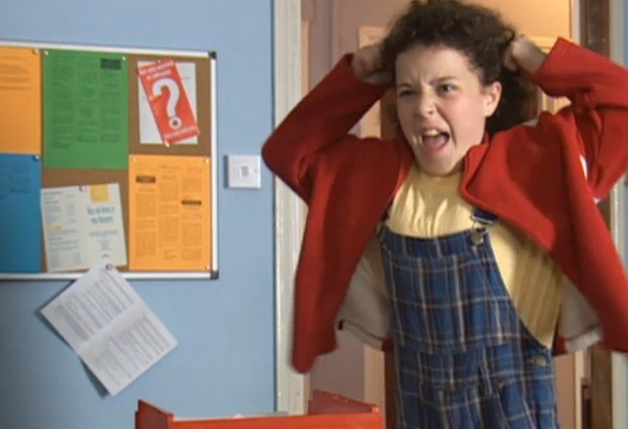 Tracy Beaker has so many behavioural problems that she’s constantly messing up her chances of happiness. 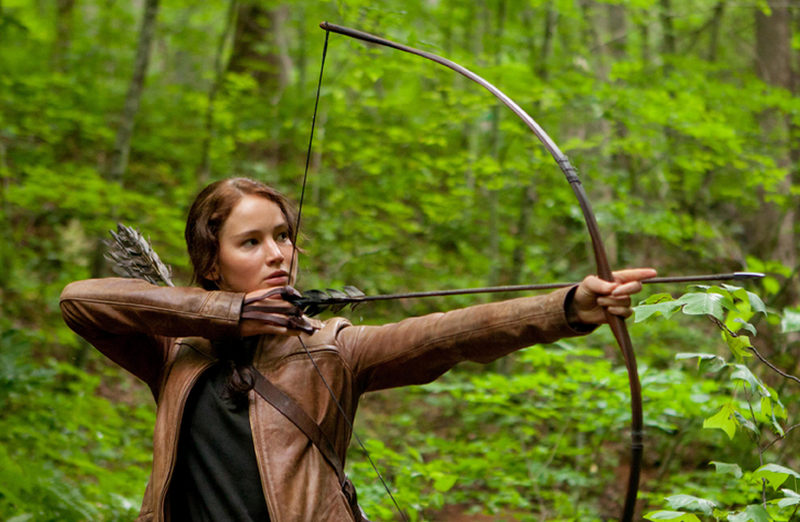 We love our heroes to be struggling with powerful issues of their own – when they are their own worst enemies! Have them help the defenceless and the weak. Real heroes constantly place themselves in danger to help others. 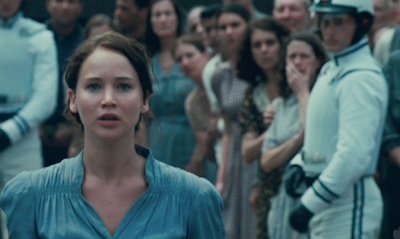 In The Hunger Games Katniss Everdeen volunteers to enter the games to save her little sister. In Lord of the Rings every single member of the Fellowship repeatedly puts his own life in danger to protect Frodo, the ringbearer. Make them brave enough to overcome their worst fear. We love characters who are physically brave. But far more important than that is that at some point your hero or heroine has to be brave enough to confront their worst fear and overcome it. Tracy Beaker’s greatest fear is that her mum will never come back for her at the children’s home. In the end she accepts that her mum doesn’t care enough about her to ever return. It’s amazingly brave of Tracy to admit that to herself. After waiting so long, it’s the bravest possible thing she could possibly do. What’s your hero/heroine’s worst fear? What’s the hardest thing for them to do? 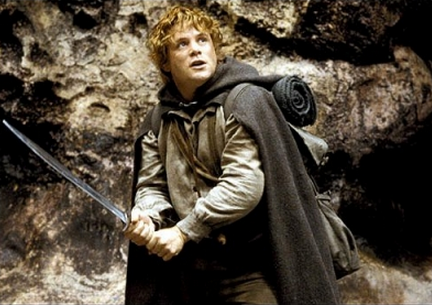 Sam Gamgee in Lord of the Rings just wants to go back home to Hobbiton and lead the quiet life of a gardener. He never boasts, just quietly does the right thing. Keep your hero humble. As part of this, make sure they always have a deep regard for other people’s feelings, especially those people who are usually ignored. We love this in a character. 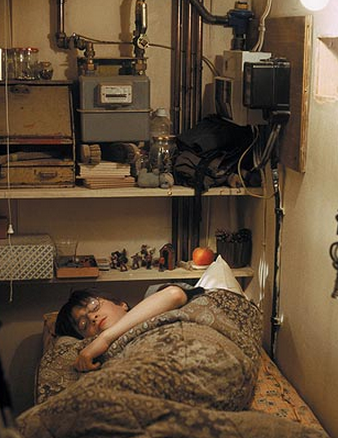 Harry Potter is superb at using magic, especially the dark arts. In The Hunger Games Katniss Everdeen’s gifts for foraging and hunting are what keep her alive. Even apparently normal Bella in Twilight discovers she has the unique talent of being able to prevent vampires using their powers. We truly love our heroes/heroines to be unusually good at something. Ensure they grow as characters. By daring to confront Voldemort, Harry Potter becomes much stronger than the schoolboy who was scared to confront the Dursleys at the beginning of book 1. 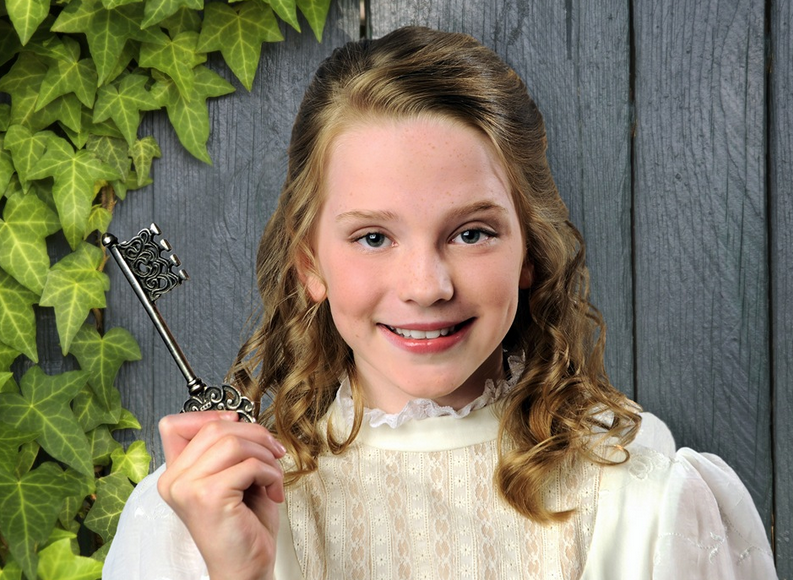 By the end of The Secret Garden Mary Leonard has brought happiness back to a family and is no longer the selfish, spiteful girl she was at the start. By confronting their worst fears and their enemies they’ve become someone we can deeply admire, someone the reader wants to be themselves. If you do the same with the characters in your own stories readers will love you for it. Candy: Well ... that's an AMAZING list. No excuses for cardboard characters now, everyone. Cliff, If you had a chance to go back and edit any of the books on your long backlist, what would you do? 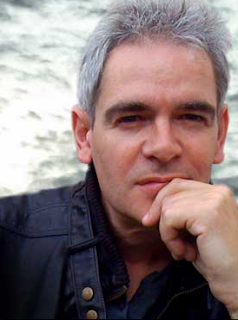 Cliff: If I had a chance to alter anything in my backlist it might be to rewrite the three novels of my Silver Sequence. I think that these are probably my most original fiction, but I made a mistake in aiming such an unusual plotline and such bizarre characters at my Doomspell readers, aged primarily 8-12. At the time I only had experience in writing for that age group, so I naturally wrote for them and I thoughi (very naively) that because the Doomspell series was successful I could test them with something much more original. In hindsight, I should have made my characters teenagers - they're a lot more flexible as readers, and like having conventions challenged more. 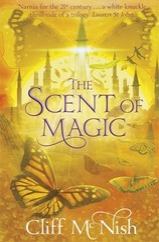 The 8-12s are still discovering conventional literature, and, when it comes to fantasy, are much more comfortable with the tropes of magic, witches, wizards, ogres etc. In hindsight, I should have made my characters teenagers - they're a lot more flexible as readers, and like having conventions challenged more. The Silver Sequence was a hybrid of SF, fantasy and a touch of horror. In adult fiction, this branch is called 'Weird SF' and a number of great writers are mining it (including China Mieville), but it's tough to get younger kids to buy it without watering it down so much you might as well not bother. So I feel that was a missed opportunity. To be honest, every time a book is less successful than others you always end up navel-gazing and second-guessing why, and sometimes you never know (Savannah Grey is another favourite of mine that sold very moderately), but self-doubt tends in my experience to lead to good things. It slows output right down (bad) but forces you to think carefully about your craft and change hopefully for the better (good!). In my experience very successful authors often reach a stage where they start to churn out one book after another fast, and they sell well enough to encourage that. Plus if you write fast it FEELS good, but that can be very deceptive. Most of their novels end up being weaker than the ones they laboured over, and are soon forgotten except by their immediate fans. The key is to write an extraordinary novel. There's no point aiming for anything else. In the end no one will care whether you write one novel or twenty - but if that one novel is amazing it will be remembered. The others simply won't. In the end no one will care whether you write one novel or twenty - but if that one novel is amazing it will be remembered. The others simply won't. 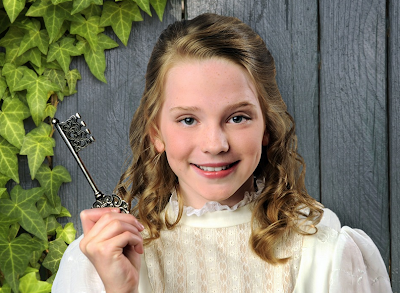 Candy: The key is to write an extraordinary novel ... the key is to write an extraordinary novel ... the key ... oh wait, gotta finish the interview. So, what are you working on at the moment and why? Cliff: I have just finished a new novel called GOING HOME. It's a total departure for me - a heartfelt comedy about four dogs stuck in a rescue center. Will they ever get out? 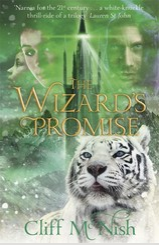 A novel for 8-12s (my original age-group), it was first suggested by my wife many years ago, and when she passed away it felt very natural to write it. It's unleashed a much warmer thread in my mind and writing, which I hope to continue for a while. Doesn't mean I won;t write darker stuff any more, though... I'm just saving it up to unleash in one cold gust. Candy: It's so inspiring to hear from someone with your pedigree and experience in young fiction. Can we end with a look into your crystal ball ... where do you think the children's book world might be headed after the digital revolution has settled down? Cliff: I think children's fiction will be hearty and healthy long after the digital revolution has changed the media and the way people read books. Why? One, because people will always want superior-quality stories. Everyone tells stories all day long, but professional writers are paid to do so because they are in some ways more skilled than others at telling them. That's our raison d'etre. But two: children's fiction (and teen) has now been established as a thriving living force in fiction at a level undreamed of two decades ago.The very best writers are now devoting their lives to it, not just specialist children's writers. l don't see any reason why that will change. The very best writers are now devoting their lives to children's fiction, not just specialist children's writers. l don't see any reason why that will change. Writers may get paid a little less but they've always been paid little. And readers themselves via fanzines, their own stories/online blogging etc, may take up some of the space currently occupied by professional storytelling, but who is to say that their writing isn't extraordinary in an entirely new way? Professional writers won't lose out ultimately in any case because all of this onlineiness is just increasing the interest and attention on STORY itself and its importance. There are more stories than ever. And fires feed more flames. We shouldn't be afraid of power being taken out of our hands. Aren't we supposed to be the ones with bold imaginations encouraging children to stretch theirs and imagine other possible lives and futures? Candy: Cowabunga! Thanks for visiting us on the Slushpile, Cliff - congrats again on Breathe getting listed by the librarians ... and see, the Internet doesn't hurt ... much! Wow, geat interview, Candy. 'The key is to write an extraordinary novel.' Indeed. I'm putting 'Breathe' on my tbr pile right away. Really insightful - thank you Cliff - and thanks Candy for wheedling it out of him. I love Cliff's writing. The character "list" was superb. Thanks to both of you for a great post. Yes, doesn't Cliff sound like a book waiting to be written? I'm printing this one. What a great list for deepening characters. Great stuff! Thanks Cliff & Candy :-) Breathe is now on my 'to buy' list! Your poor character won't know what hit her. Fantastic interview. Thank you both! Something extraordinary. Thanks for this brilliant list, Cliff. Breathe was to die for! Hmm. Does 'to die for' have some kind of hidden reference, Addy? Absolutely brilliant interview - printing it out - thank you both - top advice. What an interesting and insightful interview. And Breathe is such a brilliant book too. Yes, cowabunga sums this up! Great post and cowabunga is my word for the day. I had to look up the spelling! But thanks. Excellent advice! I am now putting all those character traits in my writerly melting pot to come up with the perfect character! But surely the more imperfect the better! The second in Homer Hickam's Helium 3 series is coming out very soon. In the first, the male title character, Crater, embodies McNish's list; I am eager to see who Crescent -- new character added for Book 2 -- is and how she is deepened. Very nice interview. Great questions and helpful. Just to point out, it's Daphne Du Maurier, instead of "De". A fantastic masterclass on character. Thanks so much. Now off to find Breathe... it's garnering so much praise I just can resist reading it.